At our practice, we are determined change the public perception of dentistry by making each and every one of your visits a comfortable and relaxing experience. 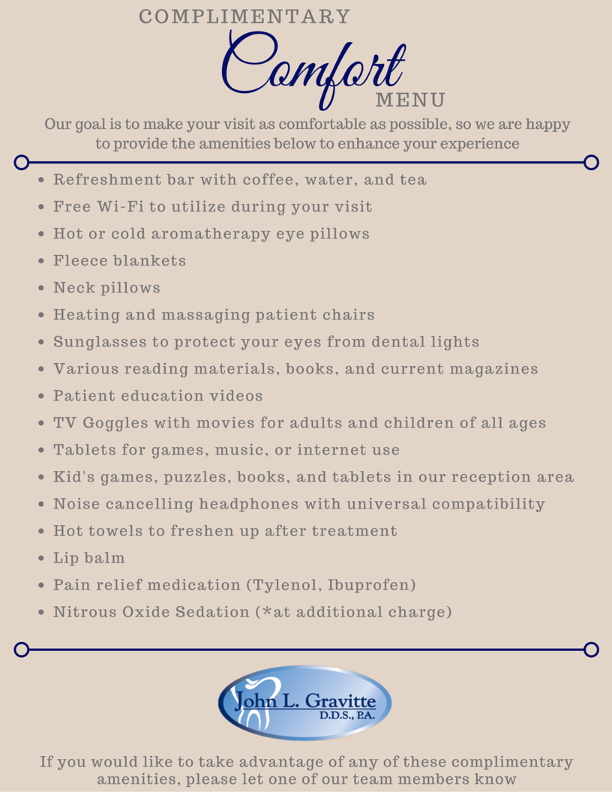 We are able to offer a comfort menu to each of our patients upon their visit, which helps us to ensure that they feel as calm and secure as possible. We have worked diligently to provide the most accommodating features for all of our patients, and we are constantly adding new amenities. Upon your visit, please let one of our team members know if there is anything we can do to make your visit more comfortable!